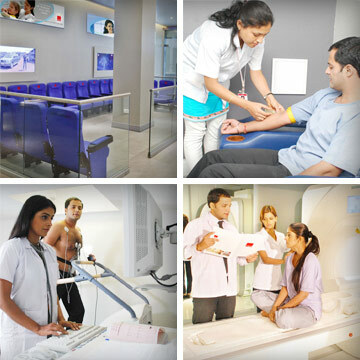 Launching Pune's most exclusive health checkup centre providing complete panel of Blood Tests, Diagnostic Investigations, Consultations, and specialised tests such as Cardiac CT Scan, Whole Body MRI, Allergy Testing, and Cancer testing. All in a beautiful and warm environment where every individual receives the highest level of personalised care making the service experience truly memorable. Fortaleza F Annex Central Avenue, Kalyani Nagar, Pune 411014.